Reading obituaries, particularly from major publications like “The New York Times” can help writers hone their craft. We know. You’re wondering why we feel the need to discuss obituaries as they relate to college essays. Well, it’s because we believe it can be quite beneficial to read obituaries. At Ivy Coach, we firmly believe that reading obituaries can help a weak writer become a stronger writer. And it can make a strong writer become an even stronger writer. Of course, students shouldn’t read the obituaries in some local publication in Canon City, Colorado. Sorry, Canon City. We didn’t mean to pick on you. You’re great and we’ve visited you a bunch. It’s just that the quality of writing in the obituaries in, say, “The New York Times” or “The Boston Globe” is quite a bit stronger. So why do we recommend that students read obituaries as they prepare to write their college admissions essays? Because, too often, students try to write big, grandiose stories. They try to accomplish too much. They try to weave in all of their accomplishments and life experiences (oy vey!). They try to sell themselves. Three words. Don’t. Do. That. Not ever. Ok, so maybe five words. Our math skills need work, apparently. It’s too bad that the genius math skills of so many of our students don’t rub off on us. But what does rub off on our students is the craft of how to write better, how to write more effectively and more powerfully. And that’s why we encourage folks to read obituaries. Because each obituary is a small story if you think about it. It’s the story of one person in our very big world. Maybe the person is absurdly accomplished or maybe they did absolutely nothing. 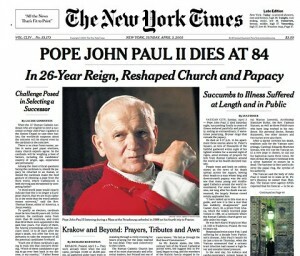 If the person has an obituary in “The New York Times,” we can assure you that the person did something big. Maybe they helped bring about the end of the Cold War. Maybe they cured a disease. Or maybe they didn’t accomplish anything at all but did something so bad — like a terrorist attack — that their death warranted an obituary, since it’s newsworthy and all. Read the style of how these small stories are told. Read the sentence structure. Study it. We dare you. We should warn you that you might get addicted. 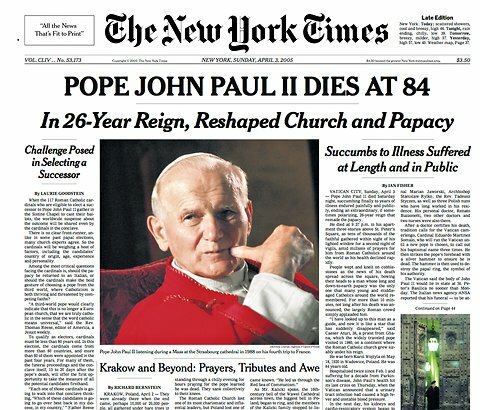 You might find yourself drawn to reading the obits every morning, before the sports news. Before the comics. Just don’t tell people. They’ll think you’re weird. If only they knew you were doing it so you can become a better, more powerful writer! But who cares if they think you’re weird anyway. Make like Dr. Seuss and “Be who you are and say what you feel, because those who mind don’t matter and those who matter don’t mind.” Dr. Seuss, incidentally, attended the Ivy League’s Dartmouth College.